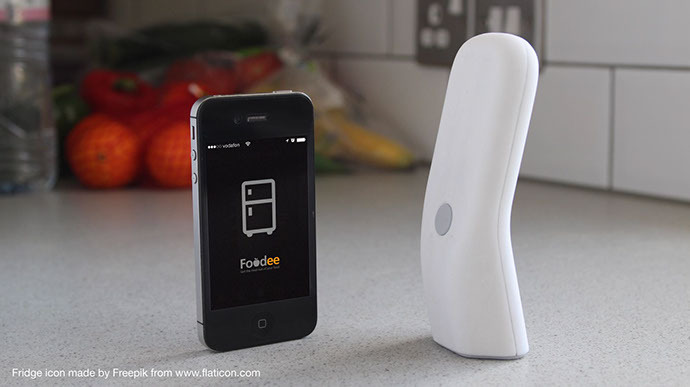 Foodee is a smart food organising system that consists of a smartphone app, a smart food scanner and a smart kitchen scale. It helps you to get the most out of your foods by alarming before the expiration date, suggesting recipes and shopping lists according to your inventory and guiding you cooking steps with perfect portions of ingredients. 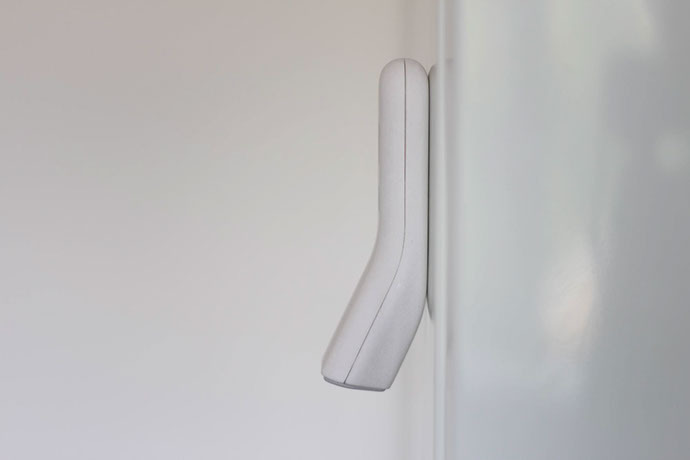 I thought of a primitive idea of the device which alarms before the food expiration date when I found green mould on my bread three times in a row. Shelf span of bread especially in summer time is quite short and we already have enough things to take care of in our mind besides the expiration date of each food items. 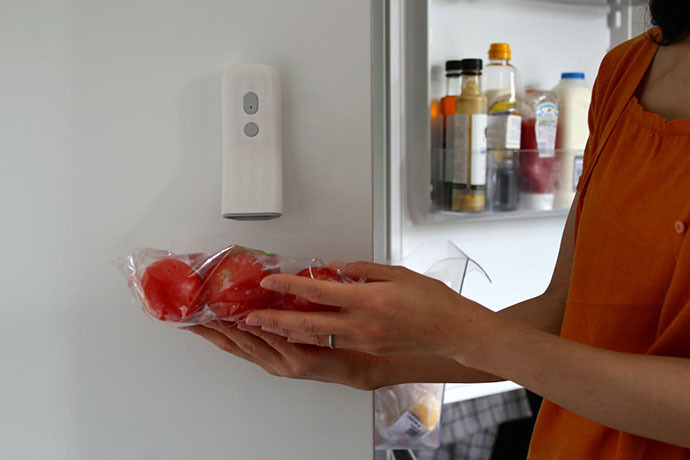 With this system, people just scan when they buy groceries and Foodee can take care of the rest. According to Love Food Hate Waste campaign website, we waste 25% of the food we buy just because we cook too much or we don’t use it in time. Fruit, vegetable, milk and bread are the most common types of wasted food. For example, 24 million slices of bread and 5.8 million whole potatoes are thrown away everyday only in the UK. If we all stop wasting food that could have been eaten, the environmental benefit to the planet would be the equivalent of taking 1 in 4 cars off the road. Saving food is not just beneficial for our household budget but also hugely helpful for our planet. People can scan just several expiration date sensitive foods or they can scan every food they buy. Anyway, the more information Foodee has, the more suitable recipes and shopping lists It can provide. There are preset average shelf spans for each type of food in Foodee App, but if users want to change the span or input the exact expiration date, of course they can do that. What if a user eats just some part of his/her yogurt and put it back in the fridge? There is an ‘Opened’ button on the scanner so people can just press the button when they scan it again for putting it back then the preset shorter span will be applied for the opened items. Foodee App can give users the information of foods that will expire soon once a day and also recommends some recipes that can utilise the expiring ingredients. 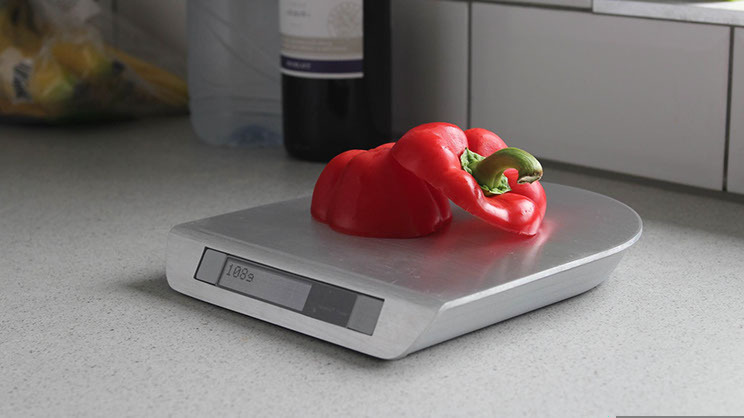 Once they choose their recipes and select the number of people to serve, Foodee smart kitchen scale will then guide them how to cook with exact portions of ingredients step by step. People can check their inventories when they are away from home and their spouses can share or modify the inventory as well. Foodee App also recommends shopping lists to the users according to their purchase history. Foodee Scanner helps people to use their food in time and Foodee Scale helps them to prepare perfect meal with proper portion and not to cook too much. This project is inspired by and also supports the meaning of Love Food Hate Waste campaign.